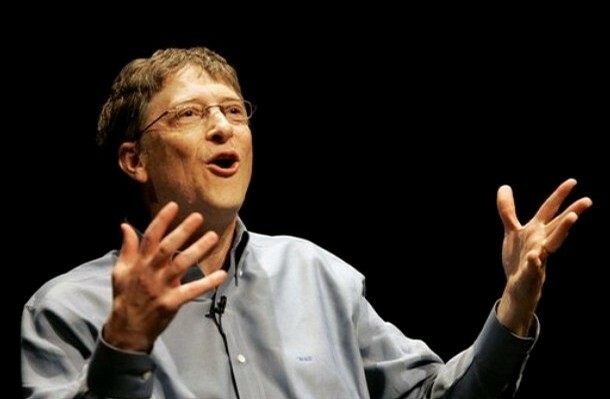 he Bill & Melinda Gates Foundation is the largest private foundation in the world. With over $38 billion in assets, the Gates Foundation has the ability to impact the world in a very large way. The foundation claims to be doing just that, with the stated goal of the company being to “enhance healthcare and reduce extreme poverty.” Despite this good-natured mission statement, the foundation’s spending goes against its stated goals in almost every way. Foundation assets are being used for such things as funding the creation of genetically modified mosquitoes, purchasing 500,000 shares of Monsanto, experimental vaccine nanotechnology, and supporting Goldman Sachs. Monsanto is the company responsible for the creation of Agent Orange, which after being used in the Vietnam War led to over 150,000 being born with birth defects. Over 3 million Vietnamese adults were also negatively impacted. Monsanto also created Posilac, which is more commonly known as bovine growth hormone. This artificial growth hormone synthetically led to higher volumes of milk production in cows, in addition to destroying the animal’s health. However, the damage done was not only limited to animals. In humans Posilac was found to lead to elevated risks of developing a tumor, due to increased levels of IGF (Insulin-like growth factor). Monsanto is now the largest biotechnology company in the world, responsible for genetically modifying a large portion of the world’s food supply. On August 30, 2010, The Bill and Melinda Gates Foundation purchased 500,000 shares of Monsanto stock. This company has driven thousands of Indian farmers to kill themselves after they were unable to pay mass amounts of debt back to the company. Additionally, the suicide was so prevalent among farmers in the area that it has been dubbed the “suicide belt” of India. Farmers who were promised increased revenue by the biotech giant were soon overcome with debt and regret. Some farmers drank the very insecticide they were given to use on their crops. If the Bill & Melinda Gates Foundation were truly attempting to “reduce extreme poverty,” like their mission statement claimed, then why would they support an organization like Monsanto? In addition to funding Monsanto, the Gates Foundation has also funded the development of genetically modified mosquitoes. The mosquitoes, developed by the University of Queensland, are modified to stop the spread of a virus carried by the insects. This technology also allows scientists to modify the insects in other ways, such as engineering the mosquito to produce a vaccine in their saliva. The National Institute of Allergy and Infectious Diseases in Bethesda is currently working on a transgenic mosquito that is essentially a mobile vaccination. If it is successfully implemented, unsuspecting targets will be injected with a vaccination, even if the person is opposed to the science behind most vaccinations. The Gates Foundation is also focused on supporting large corporations. Goldman Sachs is a well-known global investment banking and securities firm. In addition to moving their profits offshore to avoid taxation of their $10 billion bailout, Sachs has also purchased pistols for all of its employees to defend themselves from any uprising. Why would a company be so afraid of its clients? The answer is pretty simple; the company is not looking out for them. For a foundation whose goal is reduce poverty, this does not seem like a very appropriate business partner. In fact, this organization is diametrically opposed to the views expressed in the Gates Foundation’s stated goals. The Bill & Melinda Gates Foundation is indeed changing the world. Unfortunately, it is in a negative way. The foundation funds the genetic modification of our planet, the siphoning of money from the working class to the rich, and many other organizations that are dismantling the United States economy. Those who donate to this organization, however, may not be aware of its actions. Just as with other organizations, most of the donations come from citizens with good intentions. It is a shame to see that the Gates Foundation is using the assets of charitable donors to fund the manipulation of the environment and the devastation of our health.